Updated: Hate Crimes Against Sikhs and Indian Immigrants - How Do We Make Our Neighbors Feel Safe? 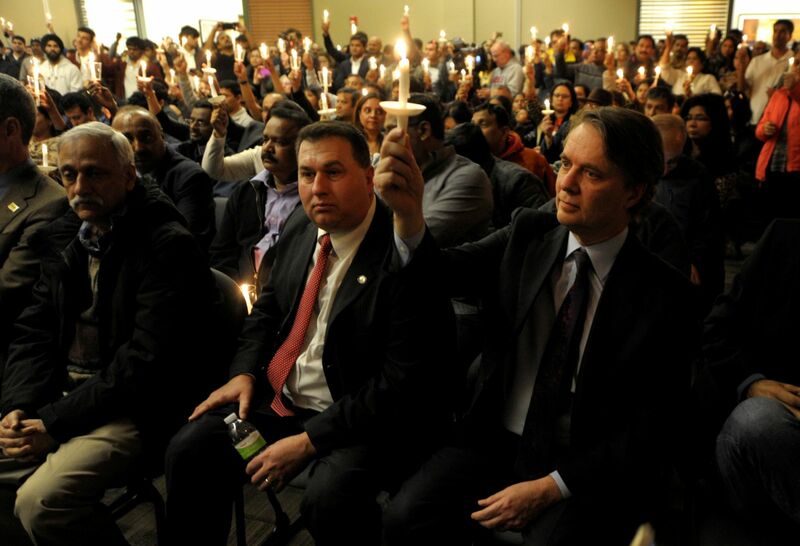 Two days after the hate-killing in Kansas that took the life of an Indian engineer, and injured two others, the people of Bloomington-Illinois held a "Not In Our Town - Stop Hate Together" rally. The rally was held on what would have been Srinivas's 33 birthday. 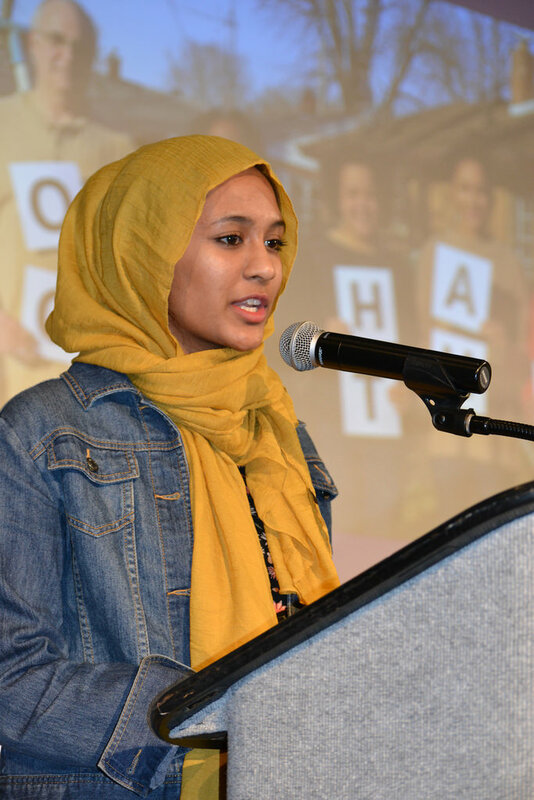 The NIOT Stop Hate Together Rally at Illinois Wesleyan University gathered 150 students, faith groups, and community members to stand with their South Asian neighbors. 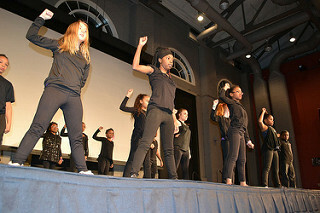 NIOT youth took a leading role in the event. This town continues to show what it means to build a safe, inclusive community. 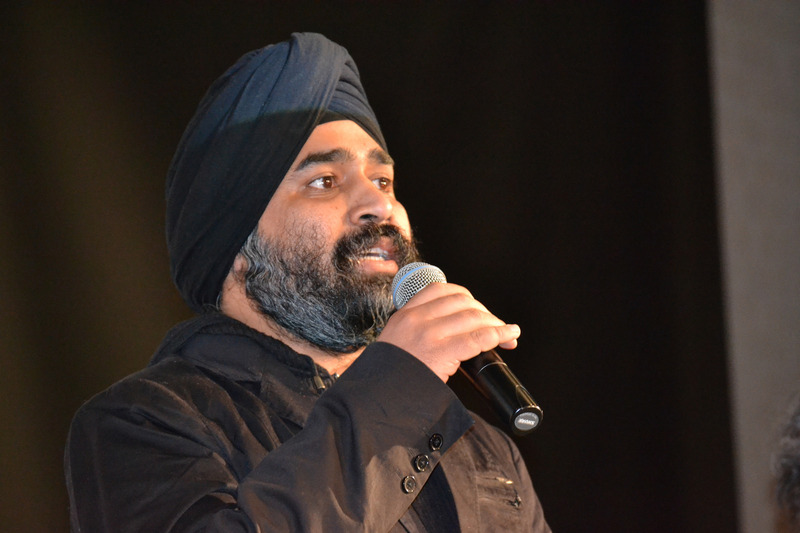 As hate fueled shootings targeting Sikhs and South Asians are spreading fear across the U.S. and India, communities and leaders are seeking ways to show support for their neighbors. Deep Rai, a Sikh man was shot in his driveway outside Seattle on March 3 by a masked gunman who said " you don't belong in our country." Deep Rai remains in the hospital, but his injuries were not life-threatening. 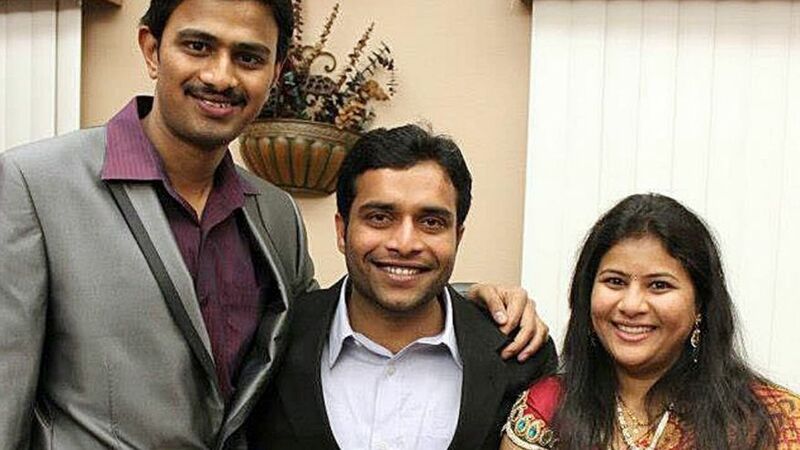 This comes just after two young engineers from India - Srinivas Kuchibhotla and Alok Madasani - were shot at a bar in Olathe, Kansas, near Kansas City. The shooter, a Missouri man who was later apprehended, reportedly yelled "Get out of my country," before killing Srinivas and shooting Aloke. A bystander, Ryan Grillot, who tried to stop the assailant was also shot and seriously injured. People across the country are expressing support for the family and community. 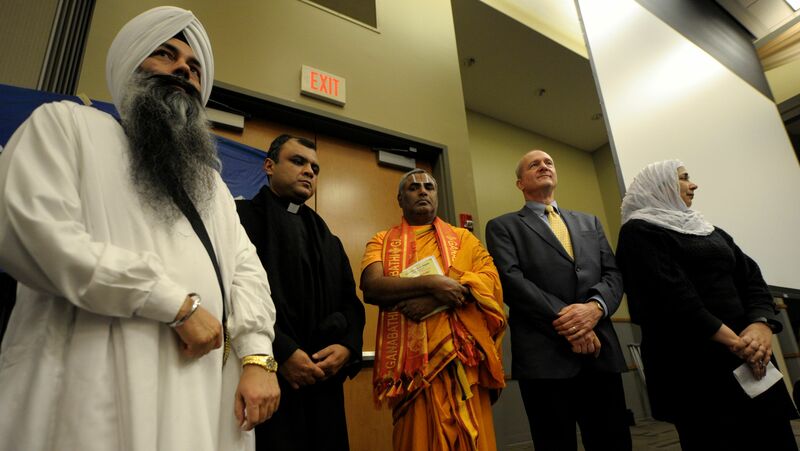 After the shooting, hundreds of people came together in Kansas for a peace march and prayer vigil to honor the memory of Srinivas. Hundreds more attended his funeral in India, grieving the loss of the young Indian engineer. Vigils have been held in NY, Nashville, Ohio, Riverside, and Los Angeles. 800 people have signed up for a Sukoon vigil for Srinivas at Boston Common on Friday March 10th. Srivanas wife, Sunayana Dumala, asked in a press conference, "Do we belong?" Srinivas's passing has united many religions as people grieve together. 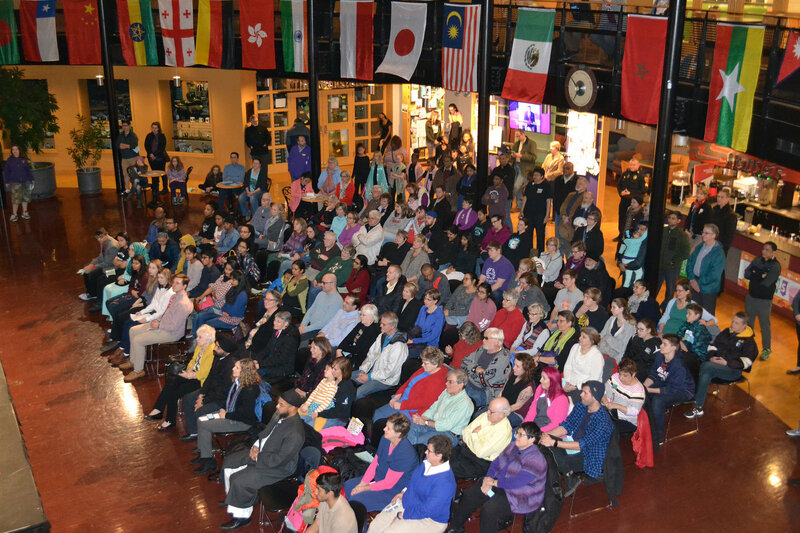 On Feb. 26, representatives of five different religions, along with people of several ethnicities, held a vigil in Kansas. Since the shooting more than 1 million dollars has been donated to a fund for the victims' families. (Reuters/Dave Kaup) Find additional photos from the vigil here. How do we send a powerful message in our community that everyone needs to feel safe? 1) Support people in your community who may feel unsafe. Here are some examples of actions in NIOT communities. Reach out to neighbors or co workers who may feel unsafe and ask how to support them. Reach out and send a letter of support to Indian, South Asian and Muslim community associations. 2) Activate your key leaders to stand with all residents. 3) Host a screening of Waking In Oak Creek , the moving story of how people in Oak Creek Wisconsin came together in the aftermath of the hate crime killings at the Sikh Temple of Wisconsin. The film provides an inspiring road map for action. The film is available for free with online screening guides. After the film hold a discussion about how to support all members of the community who may be targets of hate.